Despite the wetter than average season, this year’s crop is looking remarkably good. We have lucked out and have only received 4 total inches of rain for the month. Both north and south of Dewitt County have received much more total rain. The last of our beans were planted on June 7th and all the beans are looking great. The warm damp weather has given us some of the best bean stands we’ve had in recent memory. The corn sidedressing was completed on June 6th before things got too wet. This week we have gone back and done some later season nitrogen sidedressing with the Y-Drop system on our sprayer. The soil nitrate tests we pulled last Friday showed we had lost about 30 pounds of nitrogen from our first sidedress application. We put out some test strips replacing the 30 pounds we lost and also completed the Y-Drop test plot on the Sprague Farm where we are evaluating later season nitrogen applications. 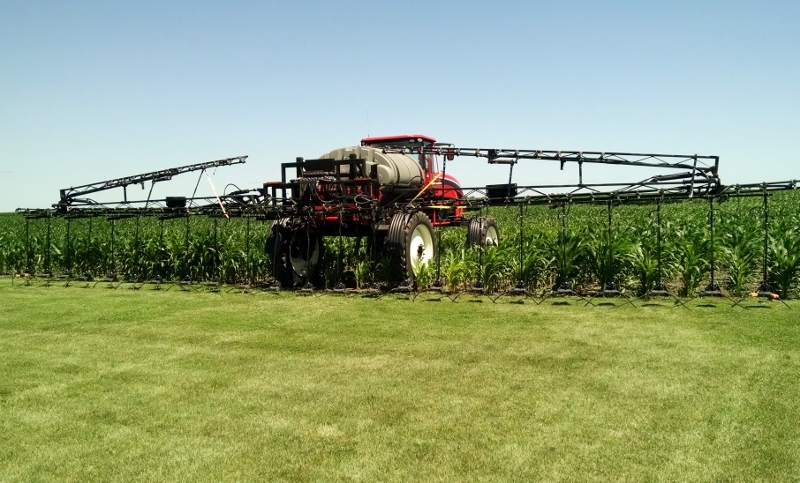 The management of nitrogen and phosphorus applications have become a hot topic environmentally. As soon as the weather cooperates we will be spraying beans. The Just A Mere Farm appreciation dinner is going to be held on the evening of Saturday, August 29th. Mark your calendars and watch the mail for an invitation soon.